Updated from the classic Hadashi model, it has extra grip in its molded sole as well as a reinforced heel and a thick 10mm sponge cushion insole. 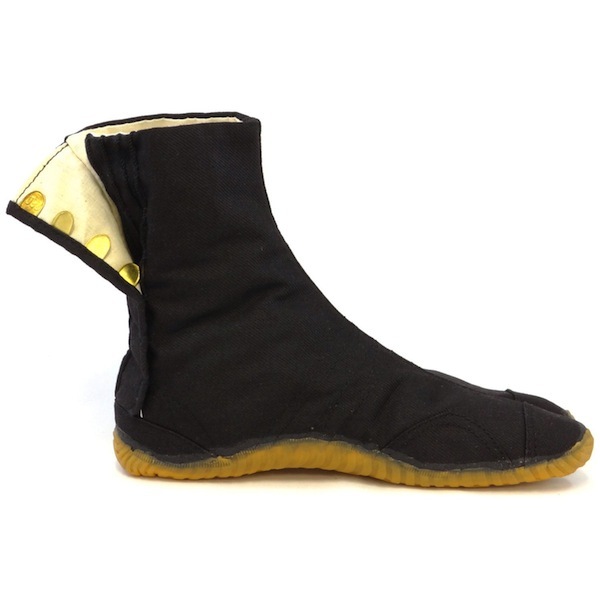 This jikatabi is a medium boot variation on the New Hadashi model. 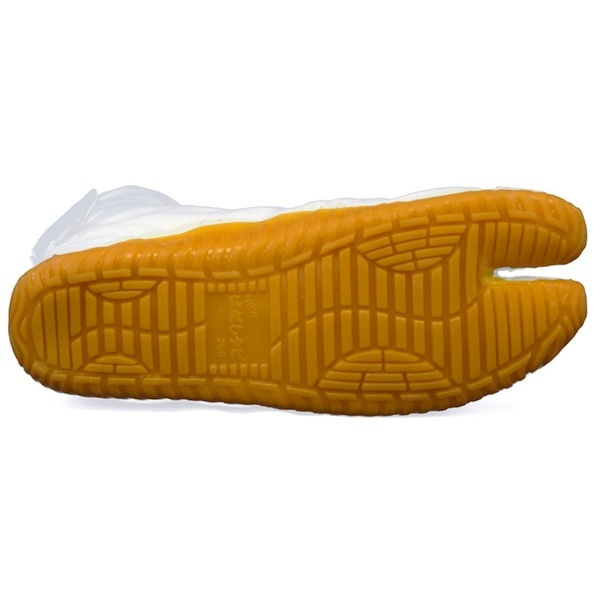 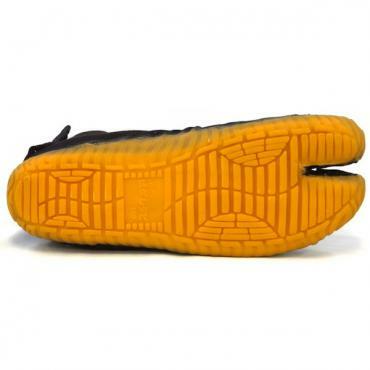 It also has a reinforced heel and a thick 10mm sponge cushion insole. 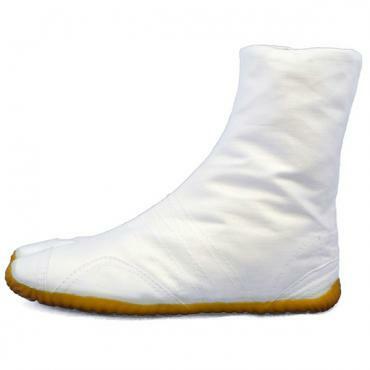 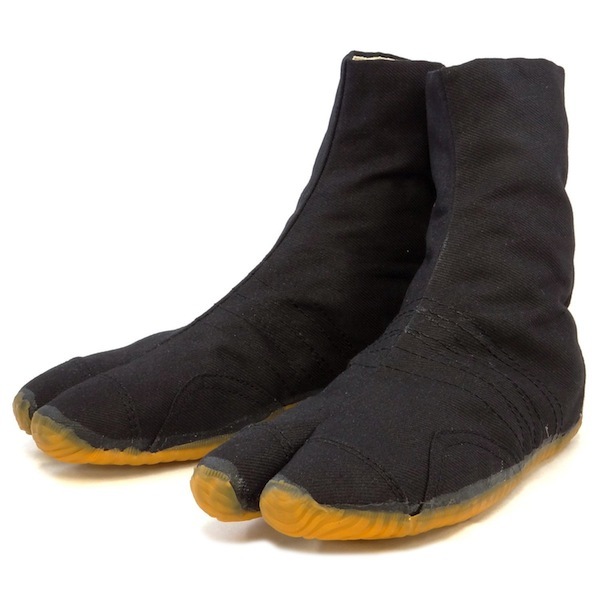 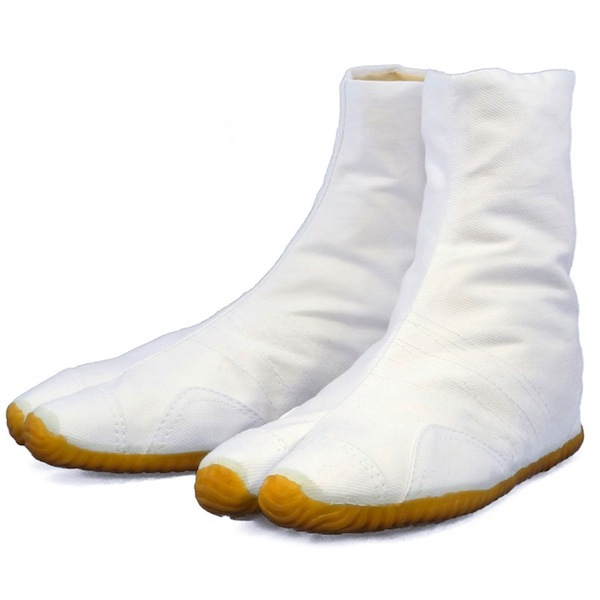 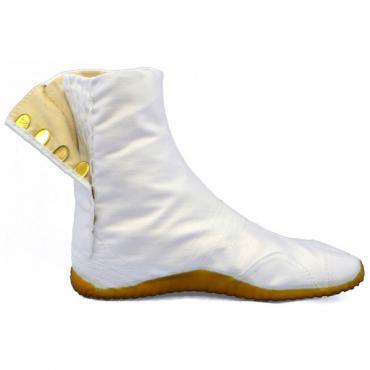 100% cotton with white cotton lining, and a lightweight and flexible, non-slip rubber sole. 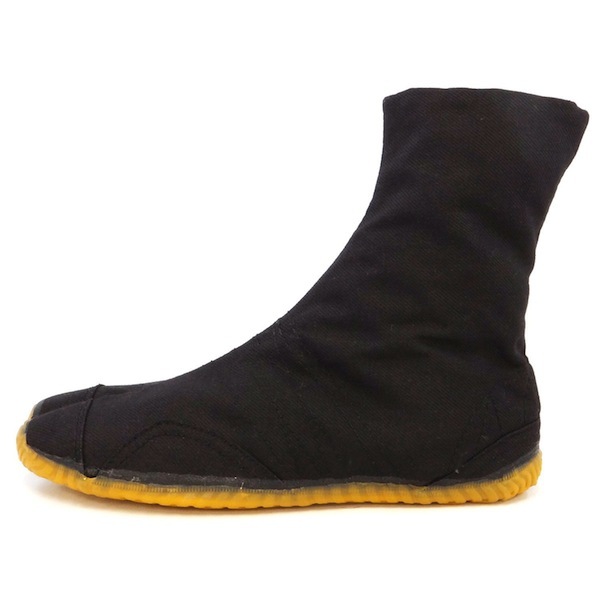 All the stitching is reinforced so the seams are strong and durable.